The YouTube subpocalypse is for real and my YouTube channel could use your support. I need 1,000 subscribers to survive and it's at 756 subscribers right now, an increase from when the bad news broke, but I still need 244 more. While the revenue generated is small compared to a Game Grumps or a NoDQ it's still very much necessary to keep our operation running. Please subscribe to Mistah MegaManFan and help me out! WOOOOOOOOO~! 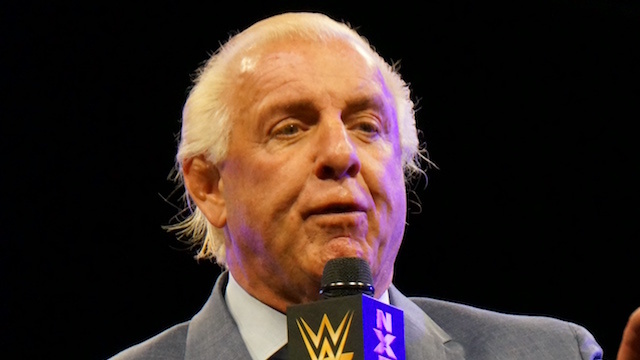 "Nature Boy" Ric Flair just joined the "five times" club - five times married! He and fiancee Wendy Barlow (Fifi the Maid) got hitched in a private ceremony yesterday. Undertaker was there and Dolph Ziggler walked Wendy down the aisle. A brand new NWA Ten Pounds of Gold video can be found below which looks at Cody Rhodes beating Nick Aldis (Magnus) for the NWA World's Heavyweight Title at the All In pay per view event in Chicago. Coincidentally Sean Waltman (X-Pac) talks about NWA's 70th anniversary on his latest podcast/webcast. Impact Wrestling took to Twitter to announce Bound For Glory is officially sold out! The show takes place October 14th in the Melrose Ballroom in New York City, with tapings held at the same venue the two days afterward (tickets for that still available). Fun fact - I was at this Undertaker vs. Shane McMahon match in Dallas two years ago. We were so high up in the nosebleeds though that we could barely see them (except if you watched the video screens) and certainly nobody could see US ... other than Ed "Han" Solo of WrestleCrap.com fame!